Bio: Dr. Scott Sandberg serves as Assistant Professor of Saxophone/Clarinet—Coordinator of Woodwinds at the University of North Dakota and maintains an active schedule as a performer, clinician, and adjudicator. Internationally, he has toured China three times, including performing as a featured soloist with the East China Normal University Orchestra, and premiered two pieces at the World Saxophone Congress in Scotland. 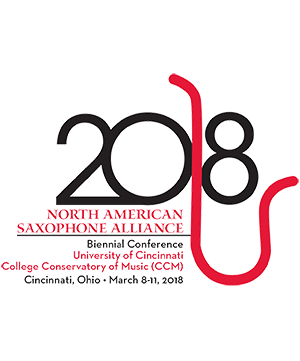 He has also performed in Canada, Switzerland, Italy, Austria, Ireland, the United Kingdom, and Norway as well as across the United States at universities, festivals, and numerous conferences of the North American Saxophone Alliance. A North Dakota native, Dr. Sandberg received his Bachelor of Music degree in music education from the University of North Dakota. He received his Master of Arts and Doctor of Musical Arts degrees in saxophone performance from The University of Iowa as a student of Dr. Kenneth Tse. Dr. Sandberg is a Selmer Paris Endorsing Artist. Nariaki Sugiura Piano International concert artist Nariaki Sugiura has performed solo recitals and concerto engagements in . . .